Prada has always been the epitome of cool, classic and elegant. 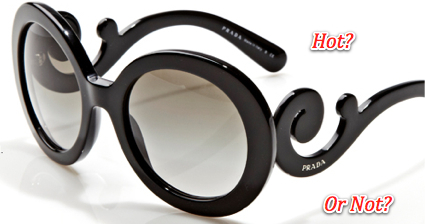 These Prada sunglasses are no exception with their retro-feel lenses and sophisticated black frames. Sadly, the lense shape of these sunglasses aren’t the most flattering on my face. But I adore the swirly design at the temples. If you ask me, they are a work of art too! What do you think? Too cool or too bad? Snakes and shifts? 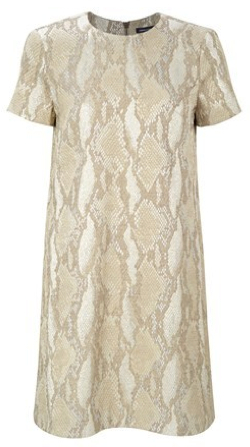 I don’t usually like snakes (I loath them), but I do like love shift dresses. They are perfect for a girlio like me, who wears one size on top and a different one on the bottom. This shift dress from French Connection is especially cute because of the “tough,” metallic snake print juxtaposed with the femininity of a 60’s era dress. 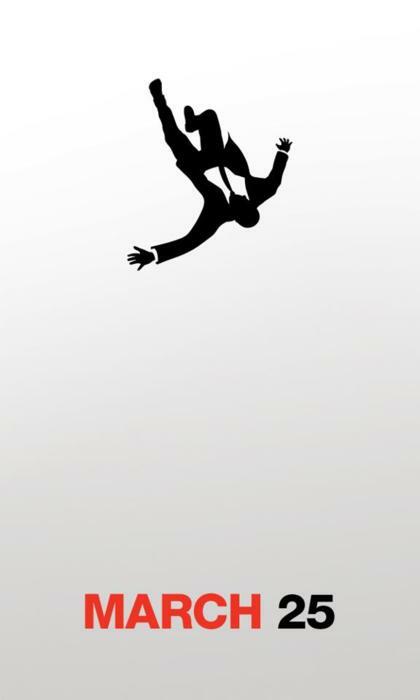 I just got the word, Mad Men’s latest season debuts with a 2 hour premier on March 25th. I almost hyperventilated when I got the AMC email telling me 30 seconds ago. Jon Hamm as Mad Men's "Don Draper"
First, I cannot wait to see my favorite characters, Don Draper and Roger Sterling, seduce like one hundred women in the first episode alone… even though Don is engaged to his secretary/nanny-for-the-day. And I’m anticipating even more great fashion from the costumer, and quite possibly the most talented woman on the planet, Janie Bryant. 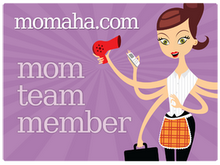 Don’t count on Sunday blogs and covets starting March 25th. 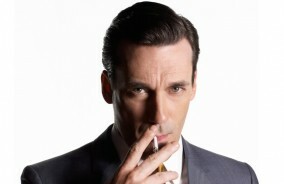 I’ll be curled up on my couch watching Mad Men on the small screen for the rest of the season. But do look for some seriously 60’s-inspired covets from me in the near future. Or maybe I’ll just revisit some of my past favorites… we’ll just have to see! So it’s settled. Our Girls’ Night Out group is going Mad on January 8th. It’s the 2nd Annual Roland Dinner Party and the theme is “Mad Men.” Everyone is so excited and who wouldn’t be at the thought of dressing up as Joan Holloway or Betty Draper Francis, two of the newest style icons? My covet today is that I will be able to find a vintage dress or dinner suit and a pill box hat to top off my ensemble for this party. Shouldn’t be too hard, right? I mean there are only thousands of listings on eBay. Unfortunately, because of Mad Men, these outfits don’t come cheap! I will be checking my local antique stores too but if anyone has ideas or something that might be of interest, please let me know via a comment!